Polycom’s SoundStation IP 5000 is a conference phone designed to make the audio of your calls as clear as possible, therefore saving time, avoiding misunderstandings and increasing efficiency. It is a solution conceived for small rooms, picking up voices from 2 meters away, and is highly versatile as it is compatible with diverse SIP call platforms. The Polycom SoundStation IP 5000 resists interference from other phones and wireless devices and was created with Polycom’s Patented HD Voice and Acoustic Clarity technologies. This way, it can deliver exceptionally clear and high-quality audio, making conference calls more concise, efficient and pleasant. 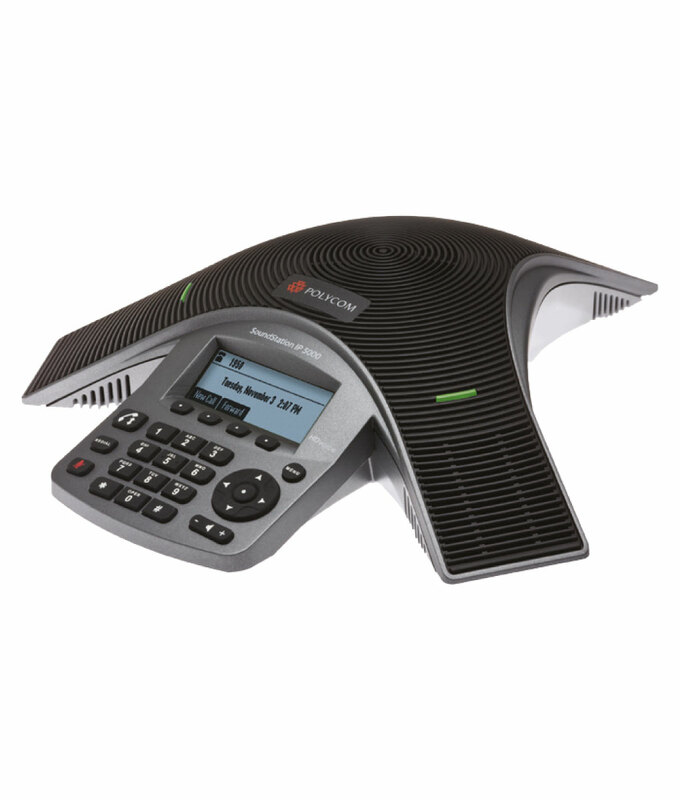 This product also boasts compatibility with several SIP call platforms, making it a highly adaptable and easily manageable solution. The Polycom SoundStation IP 5000 is available with a choice of two power supplies. Want to get straight to the techy part? Below you’ll find all the information you need to make a decision. This is the solution for you if you need a high-quality and affordable conference phone for a small office.